The U.S. Air Force is testing a new type of weapon, and if all goes according to plan, it should have planes that can shoot laser beams by 2023. Later this year, the Air Force will start ground tests of its High Energy Laser (HEL), which will precede tests for laser weapons mounted on planes, Mica Endsley, Air Force chief scientist, told Military.com. It notes the first-ever ground test of the weapon will be at the White Sands Missile Range in New Mexico. The Air Force hopes to have the first airborne tests by 2021. It will start by mounting the lasers on larger planes, like the C-17, and eventually plans to get laser weapons mounted on jets such as the F-15, F-16, and F-35. The new weapons aren’t just for show. Lasers are attractive because of their speed, and they may allow jets to rapidly fry enemy planes, zap incoming rockets, and incinerate ground targets. 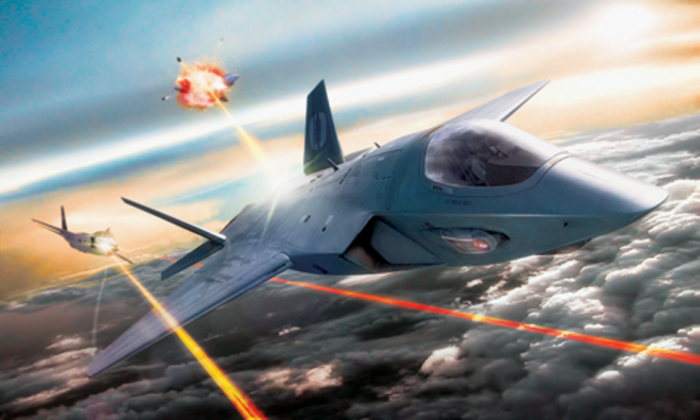 “As we expand technology, laser weapons are the next logical step,” said U.S. Air Force Gen. Hawk Carlisle, commander of Air Combat Command, in a 2015 post from the Air Force. The Air Force had already begun testing chemical lasers, which it successfully demonstrated for ground defenses and for an Airborne Laser System. It is now trying to develop solid-state lasers.